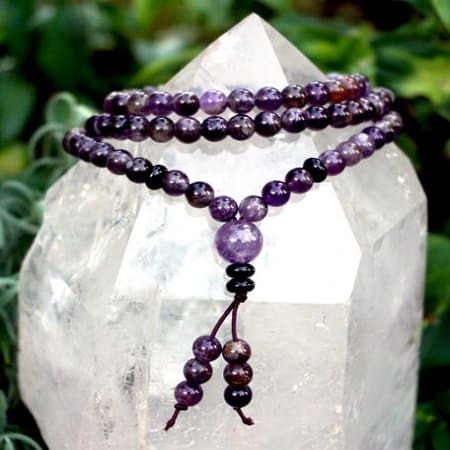 A Japa mala or mala beads are a string of prayer beads commonly used by Hindus, Buddhists, and Jains for the spiritual practice known in Sanskrit as Japa. It is usually made from 108 beads, relating to this sacred number. Malas are used for keeping count while reciting, chanting, or mentally repeating a mantra or the name or names of God. Amethyst is the stone of transformation, spirituality and dream recall. Amethyst is the stone of transformation from all addiction, promoting inner peace. Used for contentment and meditation. Provides common sense and flexibility in decisions. 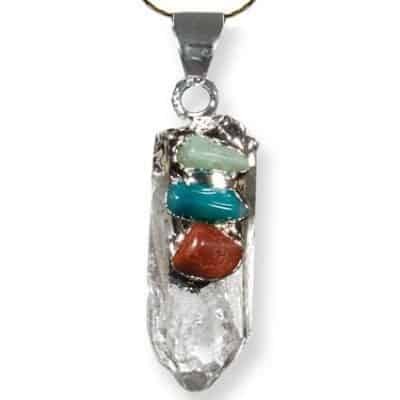 Strengthens and enhances psychic abilities, imagery and mind quieting. Wear when sleeping or when awake to reduce anger, depression, grief, impatience, and nightmares. Most effective on the Third Eye Chakra and Crown Chakra. 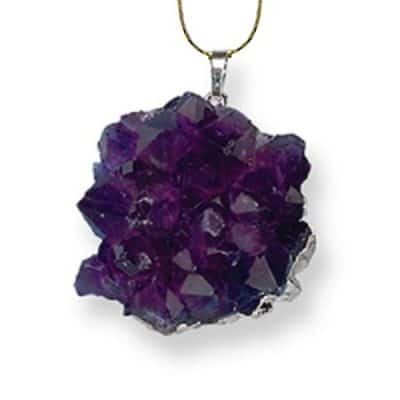 Amethyst contains the grounding color of red with the energy of blue, which is expanding, spacious and flow of peace. Amethyst is the color that you see in the sky as twilight transitions into night. Amethyst takes you on this transition from the magic time of dusk to a conscious shift into a different place. Crossing this threshold is the lesson of humility, which Amethyst can teach us. 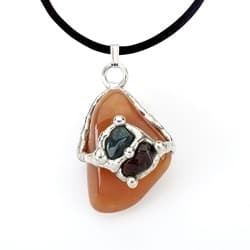 A wonderful companion for grief, this stone can show us how to let go, trust and surrender so that you may see beyond the cycle that consumes your attention; give it all up, so that you can receive more; and appreciate that you may become a part of the greater whole. 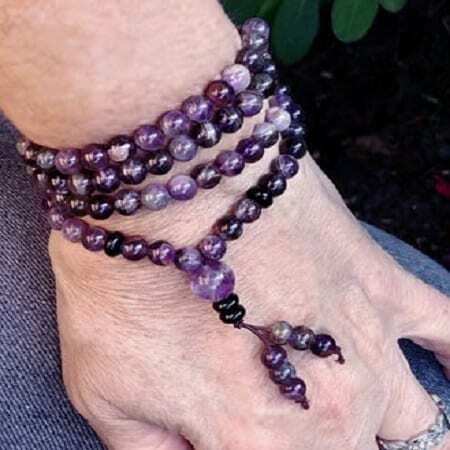 These beautiful, 6mm beads come with complete instruction for using, cleansing and working with these precious stone prayer beads along with an organza pouch for storage.